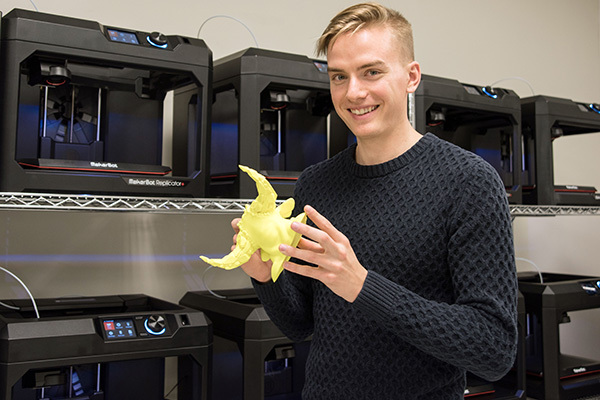 Connor Shields, a senior art marketing major, produces a model using the 3D equipment in UNG's new MakerBot Innovation Center. The University of North Georgia (UNG) has partnered with MakerBot, a global leader in desktop 3D printing, to open a learning and creation lab known as the UNG MakerBot Innovation Center on the Dahlonega Campus. The center is a lab space consisting of 3D printers and software used to allow students to conceptualize, create and produce new projects and products. There are already 14 MakerBot Innovation Centers across the country, but UNG is home to the first one in Georgia. "This lab will advance UNG's mission to foster creative ideas and apply innovative thinking, and it will employ the latest in digital technology to help the university's students and the region's business and entrepreneurial community develop successful ventures from anywhere in the world," said Dr. Pamela Sachant, head of the Department of Visual Arts. The 32 pieces of equipment and technology are open to all majors and departments across the university. "Students and faculty from across multiple disciplines and fields of study will be able to utilize the equipment in this lab, bringing to life in a tangible way business projects, visual art pieces, science experiments, and even physics assignments," she said. 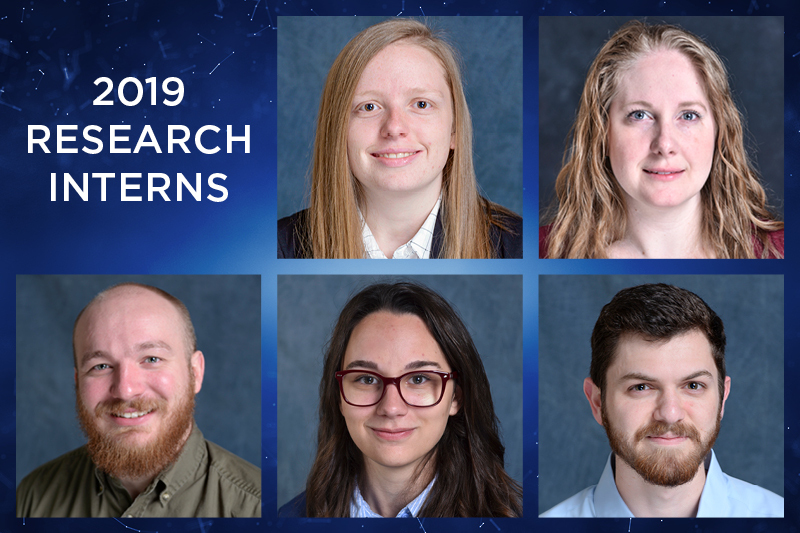 Recently UNG faculty members Drs. Jon Mehlferber, Department of Visual Arts, and Terrie Millard, Department of Physical Therapy, partnered on a grant proposal that used 3D printing to create low-cost assistive devices to aid disabled children in riding a bike. 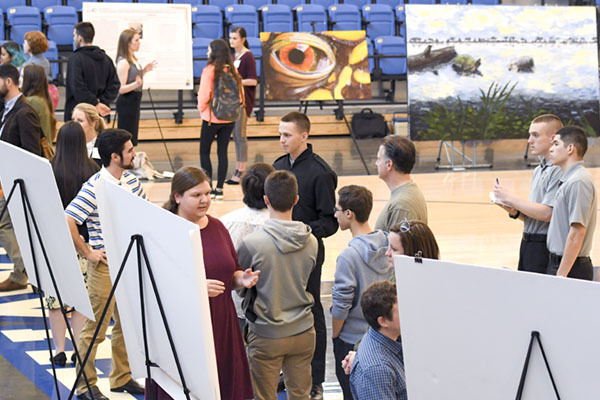 Mehlferber and Millard called on students in visual arts, biology and physics to handle the design and construction of the devices, while physical therapy students offered advice and guidance on the types of objects to be produced. The success of this project led to further grants and the professors were joined by other faculty, staff and students to develop more devices, including a special "saddle" (now patent pending), that makes it possible for disabled children to ride horses with minimal assistance. "Designed to elevate learning and promote cross-departmental collaboration, the MakerBot Innovation Center helps give students access to real-world design and development," said Lauren Goglick, general manager North America at MakerBot. "By bringing in a MakerBot Innovation Center and providing students access to 3D printing at an early stage, universities like UNG create an atmosphere of creativity and collaboration that spurs innovation and invention like never before."